All home made, nothing with a label! Lets begin with a prayer or two." Saint Patrick's is my second favorite holiday, Thanksgiving being the first. and a grandson named EMMETT DUFFY McLoughlin How do you do! Saint Patrick's Day is around the Corner，Are you ready to be green head to toe? 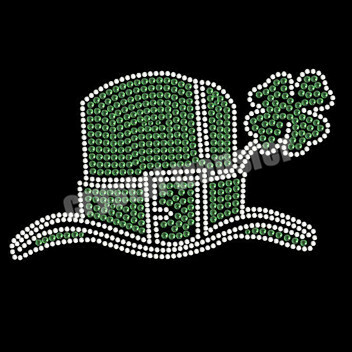 Our rhinestone transfers can fulfill your need make you look special on st.patrick’s day. I wrote this after a holiday in Ireland in September 2004.I am an English woman living alone in London. Fell in love with Ireland! I recall your glorious face!